Whether seeking a laid-back venue to sip your favourite refreshment or joining in on a bubbly conversation with your company, look no further than Athiri Bar! 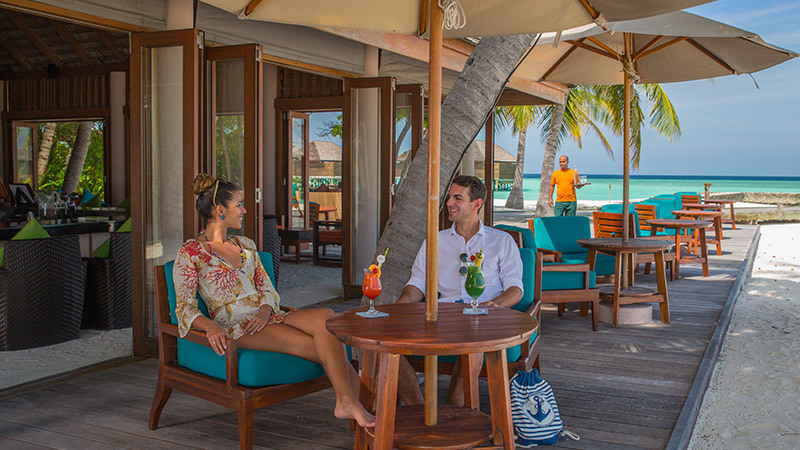 Offering a beautiful view of the turquoise lagoon, Athiri Bar is conveniently located on the beach at the northern end of the Island. The alfresco decks ensure you enjoy the most magnificent oceanic panorama whilst sampling an assortment of exotic cocktails, mocktails, as well as coffee-infused ice drinks to your liking. Admittance is for guests of age 12 years and older.